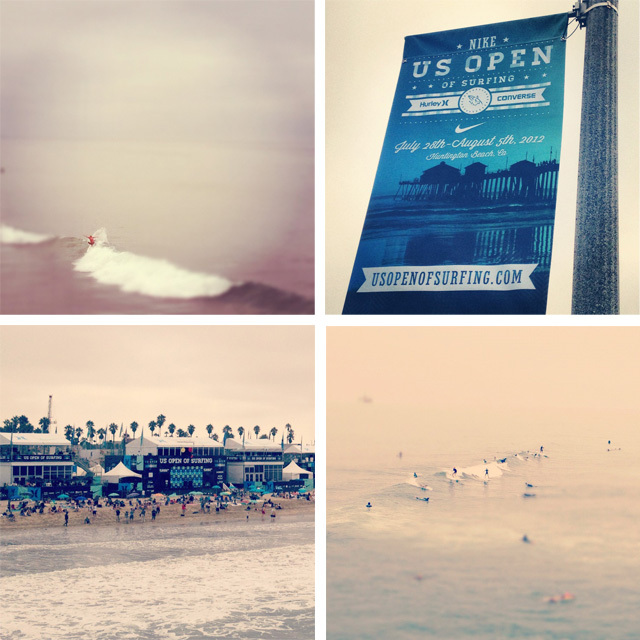 Went to check out some surfing at the US Open yesterday morning before work with some co-workers. We caught several women's heats, and I was so excited to finally get to see Stephanie Gilmore (the new 5x world champ) surf in person (upper left shot). Hopefully I'll make it back there again this weekend to watch some of the finals!